In the previous post, I discussed how making meaning in our daily lives contributes to well-being. I also drew on what Dr. Paul Wong stated in terms of the need to align our lives with what we consider to be meaningful – in other words, to achieve congruence. Paul is the author of the book , The Human Quest for Meaning: Theories, Research, and Applications. Through his research, writings and presentations, he has developed the concept of the pillars of a meaningful life. He has identified seven of these pillars which I will discuss below. Believing that human life is inherently meaningful – this is foundational, because once you acknowledge that your life has meaning, you can pursue the realisation of meaning in your own life. You can begin to value your work, be grateful for the many things that you have and can do and explore meaningful relationships with people who are like-minded. This can lead to life-time friendships and collaboration. This fundamental belief also enables you to accept that suffering and pain are part of human existence and have a meaning in your life. A profound self-awareness – understanding at a deep level who you are and where you fit into the greater scheme of things. This understanding and acceptance provides the basis for recognising your potential for contributing positively to significant others in your life and those you interact with on an given day. This means avoiding delusion and being open to your potential. Exploring what is unique about your passion and mission – discovering your unique purpose. This involves capturing what inspires and energises you and becoming conscious of the challenges and responsibilities that flow from your personal pool of knowledge, skills and experiences. Pursuing your best self so that you realise your potential – overcoming the negative thoughts and barriers that block your potential. If you are not consciously trying to improve yourself, you can find that you are going backwards. Even small steps towards fulfilling your potential will bring you closer to your best self. This is a life-long journey but leads to a sense of well-being when you have achieved a real breakthrough. It is important to approach this self-realisation task non-judgmentally, avoiding “beating up on yourself” for not progressing as fast as you “should”. Self-transcendence – contributing to something that is bigger than yourself and that will outlast you. Viktor Frankl suggests that self-transcendence is central to your well-being as it is part of your “spiritual nature”. This involves moving beyond self-centredness and self-absorption to being altruistic and compassionate – ultimately being other-centred, whether the other person is a neighbour, friend or casual contact. Happiness and well-being lie at the heart of self-transcendence. Relating well to the people who are closest to you – your life partner, your children and closest friends. This “intimacy” is a rich source of happiness and well-being. If you are in constant conflict in this arena, you need to explore the dynamics of the situation and your contribution to the conflict. Relating well entails reflective listening, being thoughtful and aware of others’ needs, and “going out of your way” to help the other person when they are not coping, are ill or saddened by some occurrence in their life. Having a sense of personal fulfillment when your life is productive – in line with human connectedness. This means, in part, having a sense that you are using the surplus in your life to contribute to the well-being of others. It also means using your knowledge, skills and experience to be a productive and positive contributor to your work team and your organisation. As we grow in mindfulness through meditation, reflection and small acts of gratitude, we can enjoy happiness and well-being, develop rich relationships and realise our potential through positive contributions to our work team and our community. Viktor Frankl, a survivor of four years in German concentration camps, wrote a landmark book, Man’s Search for Meaning. In the book he argues that our most fundamental drive is a search for meaning rather than a search for pleasure. He demonstrated in his life in the concentration camp and through his research, that while suffering is an integral part of life, we can find meaning in it. 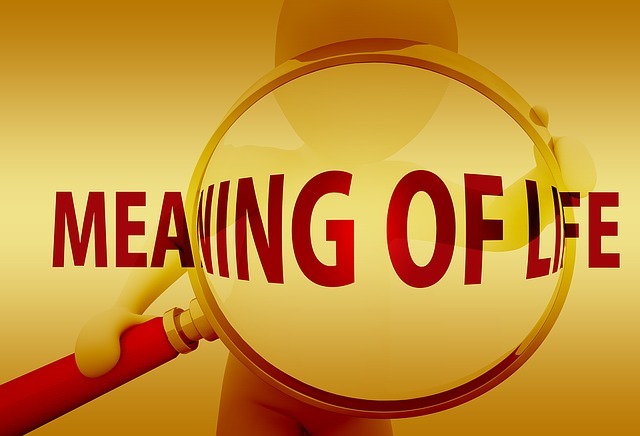 Subsequent research has confirmed that searching for meaning and pursuing meaningful actions develops personal well-being. Joaquín García-Alandete, writing in The European Journal of Counselling Psychology (2015), reported the results of his research that demonstrated that the relationship between meaning in life and psychological well-being was significant. Michael Steger and colleagues found in their research that the search for meaning is present in all stages of life and that realising meaning in life contributed to well-being. Conversely, the absence of meaning in the latter stages of life contributed to a reduced sense of well-being. Dr. Paul Wong maintains that meaning contributes to well-being by enhancing positive feelings, reducing depression and building hope and resilience in the face of adverse and stressful circumstances. Michael Steger and Joo Yeon Shin argue that happiness and meaning become more imperative in our technological age characterised by an anxiety epidemic, choice overload, constant demand for adaption and an ever-increasing pace of life. The search for meaning alone does not guarantee well-being. Dr. Pninit Russo-Netzer found in her research that the key to well-being was prioritizing meaning within our lives. This ultimately means doing things that align with our purpose in life and that give meaning to our life. Achieving insight into our life’s purpose and realising alignment through our actions is a lifetime pursuit that is aided by mindfulness. Pninit suggests that as we develop self-awareness, we can reflect on our action choices and test them for alignment with our values and their impact on our well-being … and make appropriate adjustments. Pninit argues that our simple everyday actions can be the pathway to well-being because they enable us to cultivate meaning in our lives on a daily basis. We can effectively build meaning into our lives by giving priority to aligning our choices with our values and life purpose. Just the simple, conscious act of building a collage of meaningful photos can reinforce what matters to us, build a renewed sense of purpose and increase our energy for prioritizing meaning in our lives. Dr. Paul Wong maintains that it is not enough to believe our life is meaningful and then indulge in a lifestyle that does not contribute value to society in a way that is unique to ourselves, to our core knowledge and skills. A life that consists solely in the individual pursuit of pleasure and or power is wasteful and is devoid of meaning – a reality that is born out daily in the lives of celebrities in the fields of sport, cinema and music. As we grow in mindfulness through a focus on our purpose and what is meaningful in our life, we can achieve a sense of well-being that assists us to live more fully and to deal with the ups and downs of life. Mindfulness meditation and reflection enable us to assess the alignment between what we value and what we do – to determine how well we are prioritizing meaning in our life. These mindful activities help us to deepen our sense of meaning – and consequent well-being – through our everyday activities. In this day and age of hectic living, people are constantly tired or exhausted – basically drained of energy. In the absence of a conscious effort to re-energise ourselves, we can become prone to all kinds of physical and mental illness. Meditation provides multiple ways to re-energise and restore physical and mental balance. The daily pressures at home and work can leave us drained. Added to this are increasing financial demands, adverse environmental conditions (e.g. extreme weather reflected in floods, cyclones and bushfires), increasing violence in communities and the growth of terrorism. The human impact of these multiple pressures is reflected in constant tiredness and fatigue experienced by people of all ages, even children who are experiencing the demands of exams, parental expectations and university entry requirements. This constant energy drain can be reflected in many illnesses, not the least of these being chronic fatigue syndrome. Alan Jansson, Japanese acupuncturist with more than 30 years experience, has noted that chronic fatigue syndrome, which used to be the province of elite athletes, is now being experienced by managers in large organisations and people of all ages, including teenagers. It seems contradictory that meditation, noted for its focus on stillness and silence, should be a source of energy. In fact, there are specific guided meditations that focus on re-energising the body and mind. One such 10-minute guided meditation offers an approach designed to boost energy and build positivity. Other forms of meditation help us to release tension and trauma, e.g. somatic meditation, remove the energy draining effects of negative thoughts, build positive energy through appreciation and expression of gratitude, and access the energy in the natural world around us through open awareness. Even mindful listening, being fully present and attuned to another person, can energise us through openness to their ideas and passionate pursuits and through the power of connection. Meditation changes the way we respond to stress: replacing energy-sapping fear and anxiety with resilience through a reduction in the “energy-zapping” chemical, cortisol. Boosts endorphins thus increasing calm and focus and reducing the need for energy-depleting, temporary stimulants such as “energy drinks” and coffee. Induces deeper sleep and energy restoration through increased awareness of the present moment (not locked into the past or the future) and through an increase in the sleep-enhancing hormone, melatonin. Boosts two key chemicals DHEA (develops overall sense of well-being) and Growth Hormone (GH) which increases our strength and energy storage. The overall effect of these two chemicals is a reduction in fatigue and an increase in the energy of motivation. Upgrades our personal battery and recharges it – by enhancing our emotional control centre (the pre-frontal cortex) and reducing our fear centre (the amygdala). As we grow in mindfulness through meditation, we can re-energise our personal batteries when they run low, build resilience, reduce energy-sapping emotions and chemicals, and increase chemicals that have a positive effect on our overall strength, the restorative quality of our sleep and our sense of well-being. Ryder Carroll in a TEDx Yale Talk titled, How to declutter your mind – keep a journal, highlighted the role a journal can play in helping you to overcome the busyness in your life and lead what he calls an “intentional life” – a life lived with intent, focus and purpose. He maintained that we cause ourselves stress and anxiety by cluttering our minds with things that are not important and as a result lose sight of things that matter to us. Our thoughts are discursive – one thought follows another in an endless stream. These thoughts and our busyness are often driven by expectations – our own and those of others in our life. As discussed previously, expectations can hold us captive and erode our freedom of choice. In some organisations, busyness has become a sign of importance – where the expectation is to be “seen-to-be-doing”, rather than being and achieving. Ryder states in his presentation that today we suffer from “decision fatigue” resulting from “choice fatigue”. At every moment of the day we are confronted with choices and decisions – you only have to try to buy a simple product at a supermarket to experience this at a micro level. Decisions take time and energy and time is a non-renewable resource – the very words, “take time”, indicate that we consume time in our lives as we live out our choice-making and act on our decisions. Journalling has been shown to be beneficial for many reasons – not the least of these being to improve our overall well-being. Ryder, however, emphasises the necessity of a journal to help declutter our minds and free our thinking to focus on the things that are important to us. He suggests that a journal can serve the purpose of a “mental inventory”, where you record your tasks, events and notes as a way to better manage the present, track what has happened in the past and plan your future. He provides a simple approach to journalling that he calls a “bullet journal” and provides a very brief video to explain this approach. The name derives from the methodology of creating different forms of bullet points to identify tasks, events and notes. is it important to achieve or realise? is it merely a distraction? Recording without reflection is just reinforcing busy behaviour – without review there is little development of self-awareness and self-management. The review can be strengthened by consciously developing a focus for our time and energies. Ryder’s approach to developing focus is to identify things that are important to us to achieve and to frame them as small projects (breaking down larger projects into smaller parts or milestones). 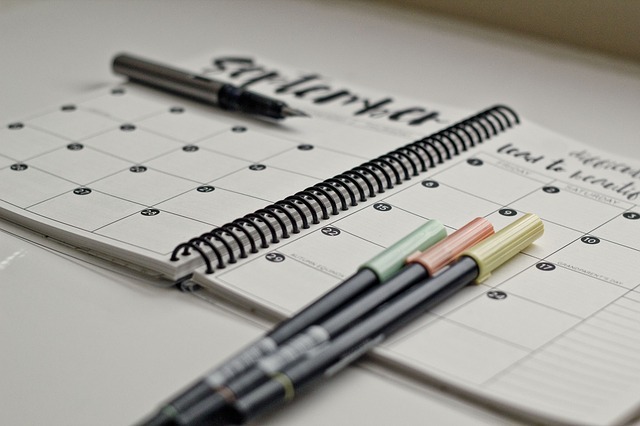 He then suggests that these are incorporated in the monthly plan of your bullet journal, while the relevant tasks that make up an individual project can be collected in a project plan or what he describes as a “collection”. The small projects act as a point of focus in any given month, serve as a way to channel time and energy, engage your curiosity and build a sense of self-efficacy through achieving identified milestones and project outcomes. Breaking goals down into achievable parts is a proven approach to increasing your productivity. 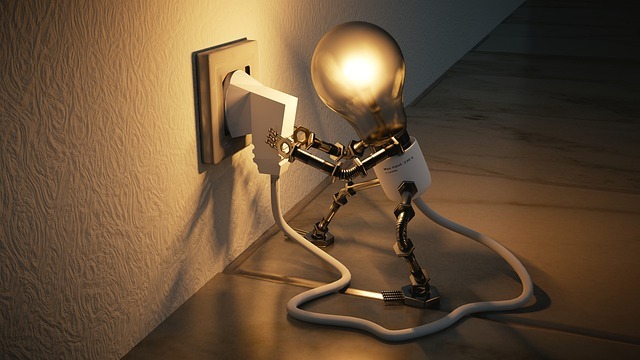 Ryder suggests that the small projects should be something that is within your control – they are free from externally imposed barriers, they are expressed as achievable tasks/outcomes and can be done in the limited timeframe of a month (which lines up with the monthly planning cycle that he recommends). These small projects give us a sense of control and increased agency which serve as a foil to the sense of losing control which comes with endless busyness. As we develop our journal to declutter our mind and manage our time and energy, we can free ourselves to grow in mindfulness through reflection and meditation and open our lives to less stress and more creative opportunities. In a previous post, I discussed the six core traits of inclusive leadership and acknowledged the role that mindfulness plays in developing inclusion in our thoughts and behaviour. In this post, I would like to develop this theme further. Inclusion involves openness and receptivity to what is different and diverse. It is the foundation of real knowledge, insight and wisdom. It involves more than being sensitive to diversity but also valuing and embracing it. So, it entails not only a way of thinking but also a way of being in the world. Through mindfulness, we can become aware of our implicit biases and emotional responses to people who are different from us. We are then better able to manage our habituated responses and increase our response ability. So much of our bias is unconscious and conditioned by our social, cultural, geographical and educational environments and associated experiences. One way into our biases is through meditation on our emotional reactions to people and situations that challenge our view or perspective of the world. Our feelings of discomfort can portend our inner bias and raise awareness of our tendencies to exclusivity. 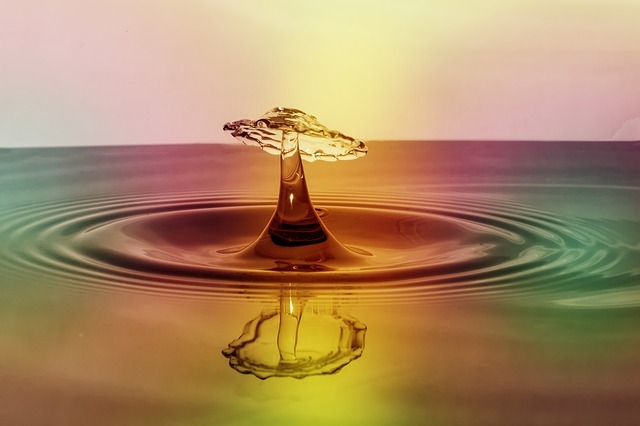 If we can stop ourselves from reacting automatically, breathe deeply and consciously, notice and name our feelings, we can respond more appropriately and, eventually, act in a more proactive and inclusive manner. If we reflect on the pattern of our thoughts and actions when we meditate, we can isolate negative emotional responses to a particular person or group. Having identified the stimulus and the nature of our reaction, we are better placed to manage our response. When we reflect through meditation on our thoughts in particular situations, we can more readily isolate our assumptions and stereotypes and understand how they are impacting our behaviour. Through this increased self-awareness, we are better able to develop inclusive thoughts and actions. Research has demonstrated that loving kindness meditation, which typically incorporates self-compassion and compassion towards others, can mitigate unconscious bias. This approach to developing mindfulness places increased emphasis on similarities and entails expressing desire for increased well-being, happiness, equanimity and resilience for others. Development of positive intentions towards others builds an inclusive frame of reference and affirmation of diversity. As we grow in mindfulness, we see our biases in a clearer light, understand their impact on our behaviour and become more open and able to adopt inclusive behaviour. Developing inclusion in our words and actions can be achieved through mindfulness if we consciously employ meditations that invoke acceptance and inclusion. Kristi Pahr, freelance writer and mother, discussed how mindfulness helped her to deal with postpartum depression (PPD). One of her problems, experienced by many mothers, was that she did not recognise her systems as PPD but put them down to hormonal change. 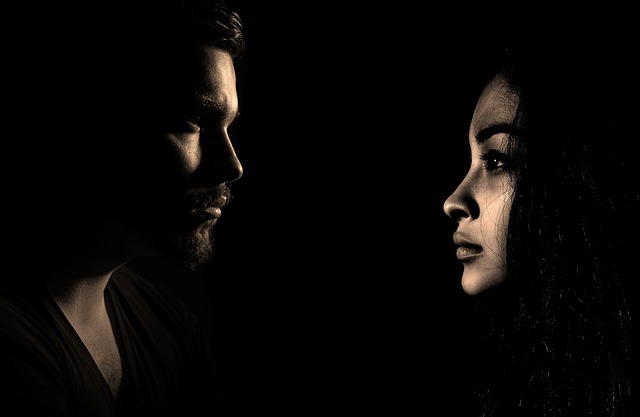 Unfortunately, PPD can get a hold of you very quickly and its effects can lead to a rapid deterioration in your mental health, your relationships and overall life. Typically, the father is unaware of the nature, cause and devastating effects of postpartum depression and can further aggravate the condition through their seeming insensitivity, lack of concern or lack of physical/emotional support. The mother may also feel unable to communicate the intensity of their feelings or their deteriorating health, and may be reluctant to communicate their real condition for fear of being seen as incompetent. The symptoms of postpartum depression can be many and varied and this fact serves to compound the confusion on both sides, for mother and father. Factors that contributed to Kristi’s postpartum depression were a loss of the first child during pregnancy, traumatic birth of the second, exhaustion, physical isolation and loneliness. 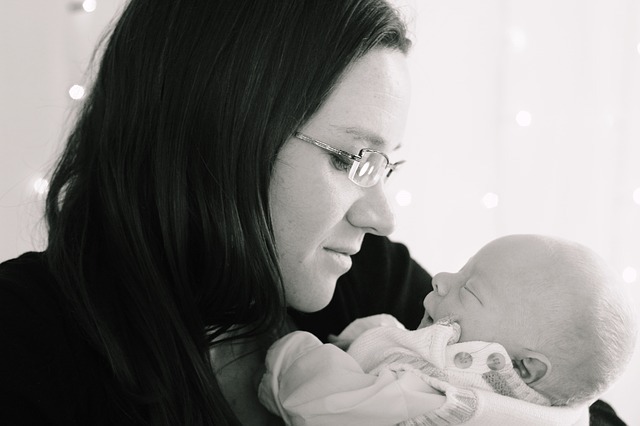 Feelings of inadequacy with a newborn baby often overwhelm even the most competent women and Kristi found that her sense of “not coping” led to “hyper-vigilance” – a constant scanning to check that everything is okay with the baby, heightened sensitivity to stimuli (e.g. a baby’s cry), and increased emotional arousal. Hyper-vigilance can intensify feelings of inadequacy and anxiety and create a downward spiral in terms of mental health and well-being – the exhausted mother cannot sleep and recuperate which, in turn, negatively impacts her physical health and depletes her energy and capacity to cope with the stresses of daily life with a new baby. It is a common experience that when you are tired, even the smallest problem or issue appears insurmountable. What Kristi found is that mindfulness helped her to get in touch with her feelings, stand back from them, identify her triggers, defuse her negative thoughts and develop ways to manage her emotional response. It also enabled her to identify the severity of her condition and to seek professional help so that she was able to increase her arsenal of strategies and tactics to manage her condition. What feels really good right now? What doesn’t feel so good right now? What made me feel balanced today? 1. Shamsah Amerise, MD, Obstetrician and Gynaecologist, when writing for Headspace.com offers 10 Tips for a Mindful Birth. 5. Andy Puddicombe – The Headspace Guide to a Mindful Pregnancy. As you grow in mindfulness during pregnancy and the postnatal period, you will be better able to handle the stresses of pregnancy and reduce the possibility and/or impact of postpartum depression. The Mindfulness Initiative is a policy group that developed following mindfulness training for British MPs, peers and staff and now works with politicians from around the world. It helped UK politicians to establish a Mindfulness All-Party Parliamentary Group (MAPPG). It is interesting to note that the primary patrons of the policy group are Emeritus Professor Jon Kabat-Zinn and Ruby Wax, comedian, who has completed a Masters in mindfulness-based, cognitive therapy at the Oxford University Mindfulness Centre. The Mindful Initiative also assisted the MAPPG to undertake a parliamentary inquiry into mental health in a number of arenas, resulting in the production, after 8 parliamentary sittings, of the Mindful Nation UK report. Shortly afterwards in 2016, The Mindfulness Initiative published a new document, developed by the Private Sector Working Party, which was called, Building the Case for Mindfulness in the Workplace. This document is the primary focus of my post. The latter document focused on mindfulness in the workplace and provides an explanation of mindfulness, identifies the potential benefits for business and discusses workplace implementation issues and strategies. The ideas advanced in Building the Case are strongly supported by reported research and shared experience captured in documented, organisational case studies. It provides an excellent starting point for any organisation envisaging the development and implementation of a mindfulness program for their executives, managers and staff. Besides individual mindfulness training, it also touches on organisational mindfulness as a cultural approach. mindfulness is best considered an inherent human capacity akin to language acquisition; a capacity that enables people to focus on what they experience in the moment, inside themselves as well as in their environment, with an attitude of openness, curiosity and care. The problem of course is that with life in our fast-paced world, obsession with social media and concerted efforts by interested parties to disrupt our attention, we are fast losing the power to concentrate and focus – we increasingly experience “disrupted attention” and recent research confirms that our attention span is declining rapidly. Additional research demonstrates that we spend almost 50% of our time thinking about the future or the past and not being present to our internal or external environment. We also carry with us memories, emotions, prejudices and biases that distort our perception of reality. This, in turn, results in workplace stress, mental illness and declining productivity. growth in creativity and innovation. To ensure that people approach the implementation of workplace mindfulness programs in a level-headed way, the report challenges a number of myths about mindfulness and addresses the issues involved. Of particular note, is the emphasis on regular practice of meditation and organisational support mechanisms beyond the initial training to sustain mindfulness within the organisation. It is clear from the research and case studies cited, that as people in the workplace grow in mindfulness and sustain their meditation practice, they experience real personal benefits that, in turn, flow onto the organisation, work teams and colleagues. In a recent McKinsey Quarterly article, the authors challenged what they call “neuromyths” – basically, misunderstandings arising from misguided interpretations of neuroscience findings. They argued that many leadership development programs are based on these “neuromyths” and result in considerable waste of financial resources and employee time. Brain plasticity science is the study of a physical process. 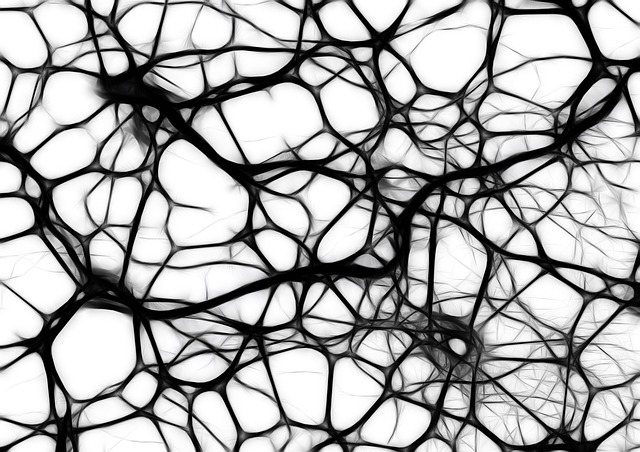 Gray matter can actually shrink or thicken; neural connections can be forged and refined or weakened and severed. Changes in the physical brain manifest as changes in our abilities. Research into the power of Mindfulness Based Stress Reduction demonstrates, for example, that there is a real physical change in brain gray matter resulting in increased capacity in areas such as learning and memory processes and emotional self-regulation. Health insurer, Aetna, has taken this research seriously and built their employee development programs around the ability of mindfulness practices to enhance mental capacity and reduce stress. By 2015, more than twenty five percent of their 50,000 employees had participated in at least one form of mindfulness training. Aetna’s aim was to reduce stress in the workplace and the associated loss of productivity and employee well-being, while simultaneously generating high performance. As a result of realised benefits in the workplace, Aetna has increased their commitment to mindfulness training for employees. In 2017, they created a Mindfulness Center with the explicit aim of “developing a workplace culture of well-being“. The Center provides mindfulness activities a number of times each week and is designed to host future presentations and courses conducted by experts in the area of mindfulness. Aetna has made this very substantial investment in mindfulness training because they have seen that their managers and staff, as they grow in mindfulness, reduce their stress, increase their resilience and develop high performance. Aetna is certainly not alone in investing in mindfulness training for managers and employees – and in realising the associated benefits. Google, for example, has trained more than 4,500 of their employees in mindfulness and emotional intelligence over the last 10 years. 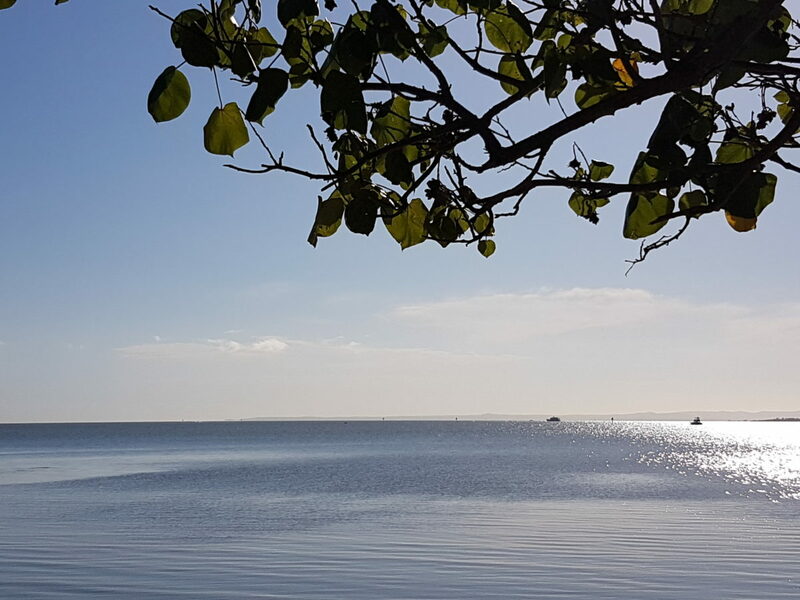 The derivative program developed by the Search Inside Yourself Leadership Institute (SIYLI) is providing mindfulness training to leaders in thousands of organisations in the public and private sector on an ongoing global basis. In three years, 1500 executives from more than 350 companies have come together to explore a new style of leadership. It’s all about helping individuals, teams and organisations to thrive in the digital age. It’s part of a global movement that’s sweeping across the corporate world where innovative companies such as Google, LinkedIn and the Harvard Business School are using evidence-based tools to unleash creativity, productivity and purpose-driven performance. The Sydney-based forum included presentations by Marque Lawyers, Westpac Bank, e-Bay, Australian Army and Medibank. 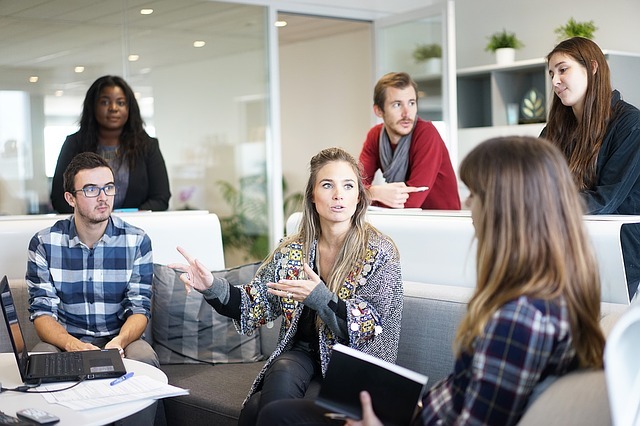 Organisations world-wide are investing in the development of mindful leaders who can build a workplace well-being culture that generates the dual goals of employee wellness and high performance.